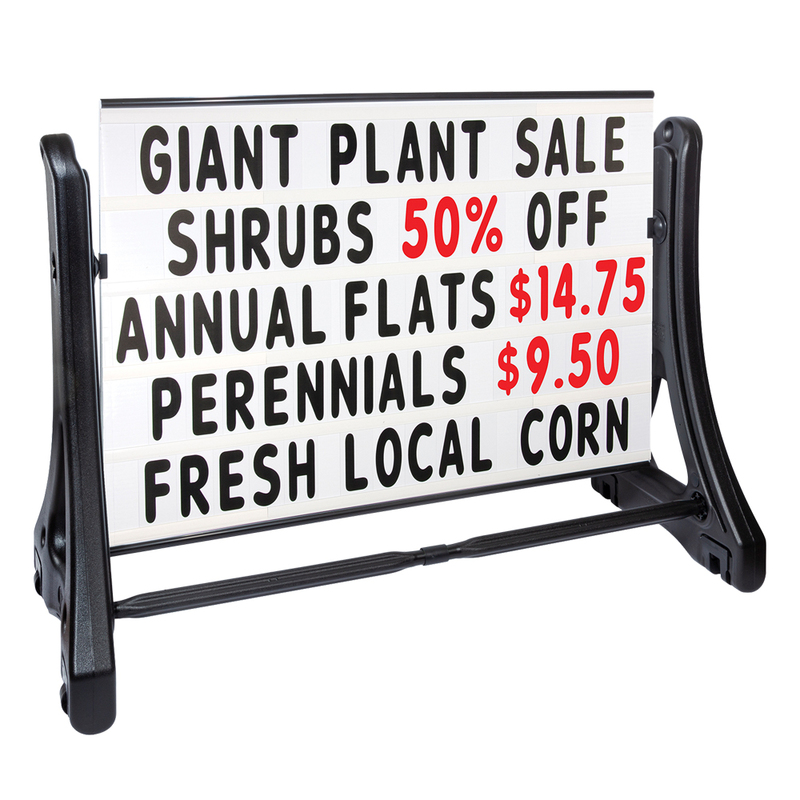 This truly portable 2-sided road sign offers a large 36 in x 48 in. sign panel that gets noticed from near or from far. This sign is ready to use as soon as it comes to your store. 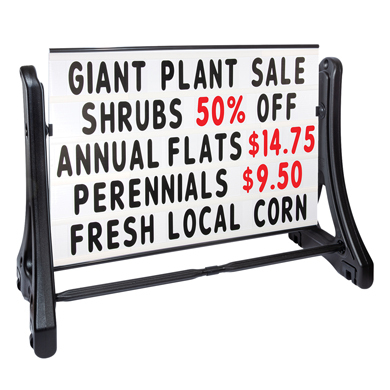 The Portable Roadside Sign has 5-lines with a letter track to post your message . The roadside Sign comes with 451 - 5" letters and numbers.